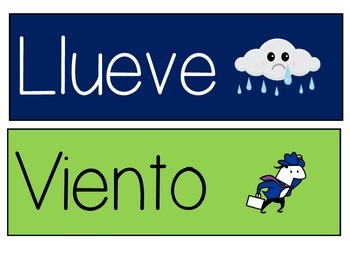 Colorful signs depicting various weathers in Spanish. 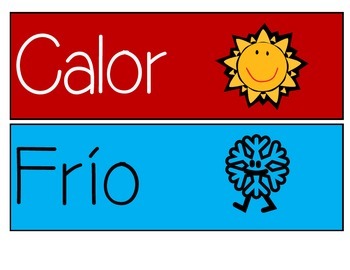 Includes a "Que tiempo hace?" plate. All signs have a specific color and an icon. 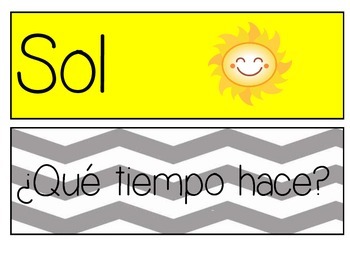 Great for calendar time or as an introduction to weather vocabulary!